We provide support for fathers through a range of different services. The Circle Fathers’ Worker works alongside the team at PrePare to offer individual support to new and expectant fathers. They also run a group in partnership with Stepping Stones North Edinburgh. Sessions are delivered by the Fathers’ Worker alongside a Parenting Outreach Support Worker from the project. 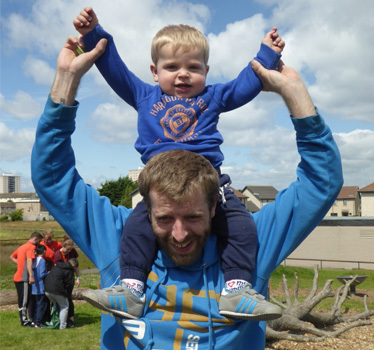 This service supports fathers in Addiewell Prison preparing for release, to help meet their particular support needs. Being a better father, learning more about babies' safety and wellbeing. Great that I now know how substances affected babies and development.